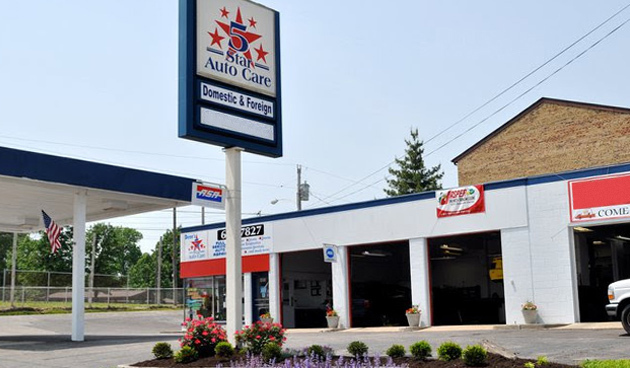 Welcome to 5 Star Auto Care, located in Cincinnati, Ohio. We are a family owned and operated auto repair shop and have been servicing our customer’s cars for over 25 years! At 5 Star Auto Care we take great pride in our reputation. Our technicians are highly trained and ASE certified. We are committed to delivering the highest quality of parts and services, bar none! Our goal is to exceed your expectations! 5 Star Auto Care hires trained technicians and automotive mechanics in the Cincinnati, OH area who are willing to stay on top of the latest technology in the automotive industry through ongoing schools and training. instant approval at the shop. APPLY FOR CREDIT CARD NOW! The shop takes pride in being up to date, clean and as efficient as possible to get your car, truck or SUV in and out as quickly as possible. Making sure that your wheel alignment is correct is one of the most important things you can do to properly care for your tires. A poorly aligned car will unevenly wear your tires at an alarming rate. Do you trust your car's brakes? If you have any doubts regarding the current condition of your brakes, it';s best to call or pay a visit to our auto repair shop. The cooling system of your car is what keeps it from having a meltdown. All of the components in our cooling system join forces to meet one important goal, which is moving coolant around your engine, so that it can absorb and dissipate heat. We understand that getting your car fixed or buying new tires can be overwhelming. Let us help you choose from our large selection of tires. We feature tires that fit your needs and budget from top quality brands, such as Goodyear®, Firestone®, Kelly®, and more.